Compatible with Shimano XTR FCM960 4 bolt cranks. CNC machined with shifting ramps and chain pick-ups. Black anodised, with engraved logo. 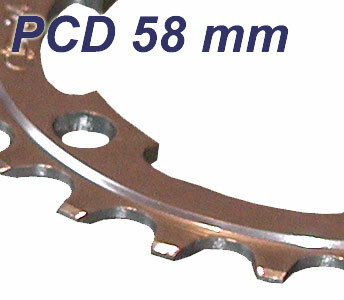 Inner ring: 64 PCD 22-24 teeth. Middle ring: 102 PCD 32-34 teeth. Outer ring: 146 PCD 44-46 teeth. 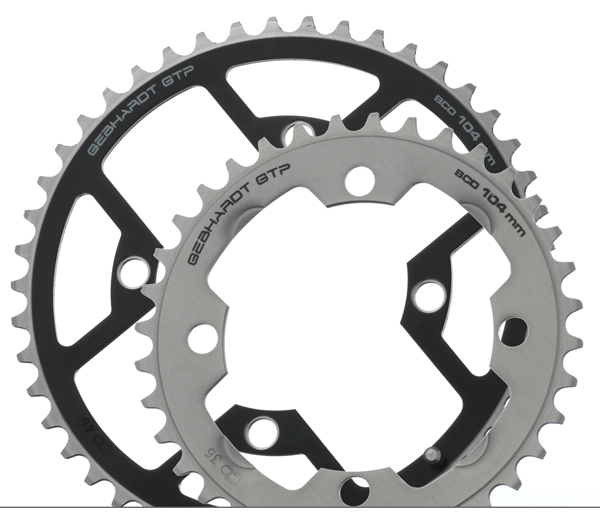 Fits most Shimano standard 4-bolt outer and middle ring ATB chainsets. 32 - 38 middle ring. 40 - 50 outer ring. Fits most Shimano compact inner-ring ATB chainsets. 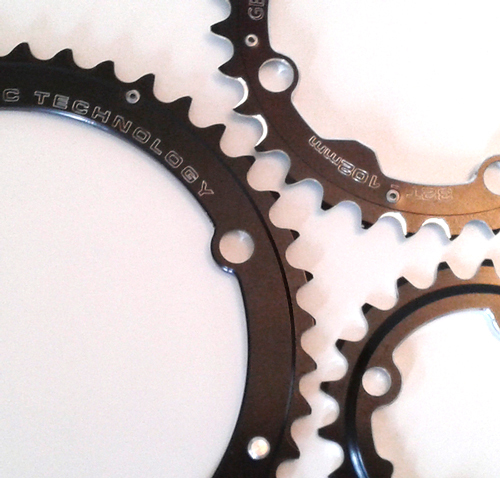 Fits most Shimano standard micro-drive inner-ring ATB 4 bolt chainsets. Goes with 104 PCD chain rings. Fits most Shimano pattern ATB chain sets. Usually combines with the 110 PCD outer and middle rings. One of the early models, slightly beefier. 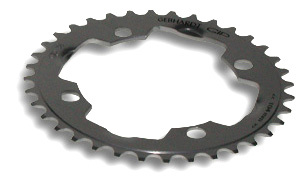 Runs 8speed or track chains, not suitable for 9 and 10 speed gearing. Fits most Shimano standard compact 5 bolt ATB chainsets. Inner/middle 32 - 38 teeth. Outer 40 - 50 teeth. CNC machined black ATB 3 bolt chain rings with shifting pins and ramps. Fits FSA Afterburner 386 chain set, usually found with BB30 type bottom bracket.